If you have not been to a SIGUCCS conference before and are interested in obtaining a feel for conference programs and activities, click on the conference links below. Join SIGUCCS to obtain access to the ACM Digital Library to view an archive of papers presented during the Service and Support Conference. From 1974 through the spring of 2011, SIGUCCS sponsored two conferences each academic year. 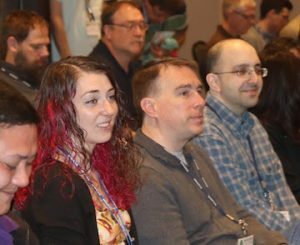 The Fall Conference, which was originally known as the User Services Conference, focused on topics relating to the direct support of computer users on college and university campuses. The Management Symposium provided a forum in which information technology managers and aspiring managers in higher education could discuss issues that they faced. Note: All prior Spring Symposiums were held in St. Louis, Missouri.